As a mother of five kids, this book definitely looked enticing and I’m so glad that I got the chance to read it. 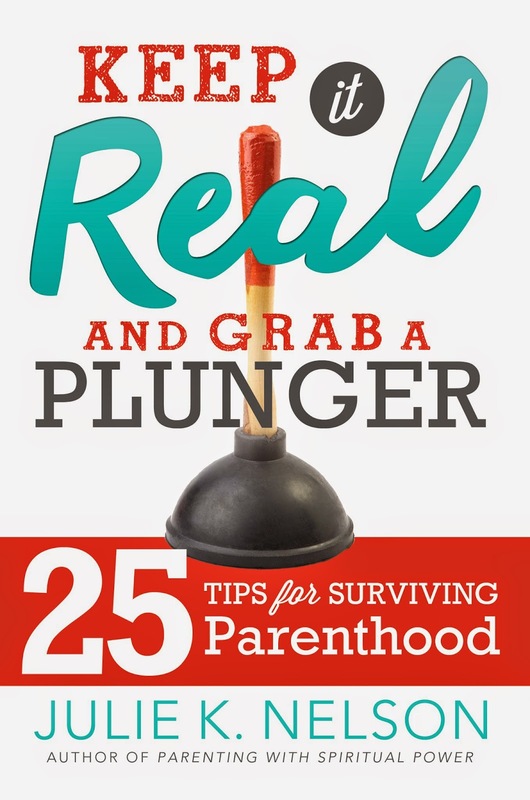 I liked the format of this book because it was easy to read in chunks here and there in between diaper changes, feedings, piano lessons, homework, etc., etc. Each chapter was short but chock full of great information, anecdotes, and scenarios that help teach the principles that Julie has collected. These 25 Tips are definitely on the top of my list of areas where I could use some extra help. I found myself marking and highlighting several tips and passages as I went along. One of my children is four, but it still feels like we are in the terrible twos. He’s extremely difficult and headstrong, goes 100 miles an hour all day long and has complete freak-outs about the littlest things. My husband and I have pulled our hair out trying to figure out how to work with this child. Many days I have been in tears over the latest trouble he has gotten into and how to keep my cool and still show love to him. There just aren’t words, so in short, I’ll tell you that this book is so refreshing because I can tell that Julie really does understand the dynamics of parenting. She shares these tips in a way that doesn’t make me feel guilty because I haven’t always got it right, instead I feel hopeful and excited to try out the ideas. I’m already implementing them and in some cases, just a different way of looking at the situation has helped me immensely. ← Stepparenting: The good, the bad, and the ugly.